In case you hadn’t heard, there’s a storm headed our way! As long as I have power, I’ll be checking blog posts, but not posting anything new until next week. If you’re on the coast, I hope you remain safe! Nice one Kathy. Unhappy relationships can tear through lives like a hurricane. That Matthew has a lot to answer for! Thanks Mek! We’re good for now. The beaches area is completely flooded and we just seem to have wind and rain, with some outages in other areas. Prayers that all is well. So far so good Tikeetha! Thanks for the prayers. Gul why you ain’t up under the bed? Up there talkin’ bout readin’ blogs and thangs! You and all of the people in the path of that monstrosity are in my prayers love! Let me continue my list of reason’s that I’m glad you live in Florida and not me. 1. Scary bugs; 2. Oil slick turtles; 3) Giant multicolored storms. Yeek! Be safe! 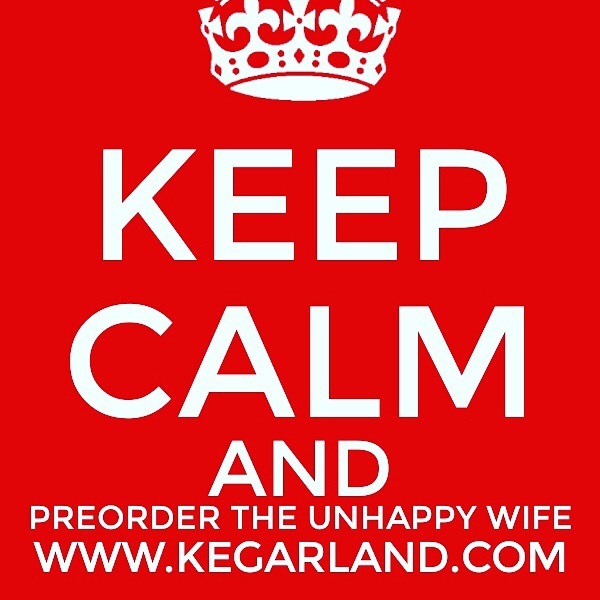 Also, excellent “Keep Calm” meme. You should give her a cut of your commission for at least one ebook. This was the reminder I needed to buy your book! I’ll give her a big hug 😉 lol But thanks for your support girl. Can’t wait to see what you think. I hope you’re very safe and very warm. Thanks Tareau! So far, so good. A very scary time for you all and even more terrifying after seeing the damage wrought in Haiti. Hope it calms down a bit .That ‘skull’ like image of the hurricane is spine-tingling spooky. Kathy, keep safe and I’ll be looking out for your next post! Thanks Annika! We’re hanging in there. What do you mean you won’t be blogging ’til next week? You have a duty to your readers to blog come what may! No, seriously though, I pray that the storm is kind to everyone and above all that everyone comes through safely.